TrilbyTV for AppleTV offers the same easy-to-use interface all our Players have, enabling you to easily turn any HDTV into a signage tool. Since AppleTV’s are also used in the classroom, it makes it a nice tool to showcase your own student work to the whole class. After connecting your AppleTV turn it on by pressing any button on the remote control. Once you see the home screen and are connected to Wifi or a wired network, navigate to the App Store icon and select it. Then using the menu at the top of the screen, go to Search. Enter TrilbyTV in the search box. Once the App Store page is shown, select the Install button and the app will install. Press the square button on the remote to return to the home screen and then scroll to the TrilbyTV Player app. Note down the Player code on the screen and enter this into the dashboard to connect. 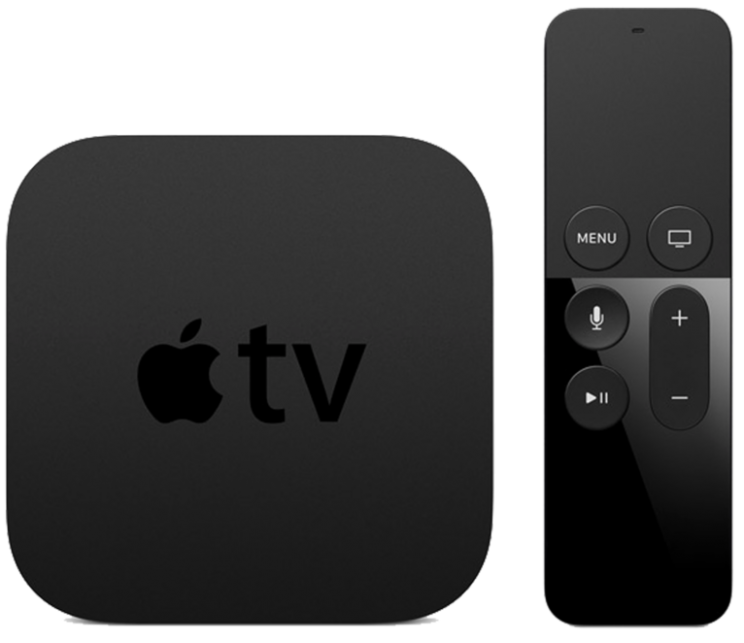 If you operate a Mobile Device Management Server (such as Apple’s macOS Server, Jamf, Meraki, etc) you can enrol your AppleTV into your MDM and enable it to operate in Single-App Mode, which locks the device into a single app. Once enrolled, use your MDM to enable Single App Mode for TrilbyTV Player. Once turned on, when your device starts up, it will automatically launch TrilbyTV Player. If you’re using Player Dashboard, your content will start playing after the app has launched. To make the use of an AppleTV even simpler, we recommend adjusting the Sleep setting to Never. To change your preferences for Sleep mode, go to Settings > General > Sleep After. You should also ensure you disable any power saving or sleep mode in your TV’s settings menu. Updates to the TrilbyTV Player app for AppleTV won’t install automatically while TrilbyTV is actively playing. You may occasionally need to open the App Store app and manually update the Player app to get the latest features and bug fixes.